The past few weeks have been highly stressful for me and one of those periods of times where everything seems to want to hit you at once. I've always been resilient and able to get my head down and focus on moving forward, but recently I have been quite poorly which has really knocked me for six and has left me often feeling tired and lacklustre. I decided last minute that I really needed to getaway, and who better to ask than my lovely older sister! She is a spa day pro and I knew that we would have a great day if I left it up to her to find somewhere for us to relax and spend quality time together. 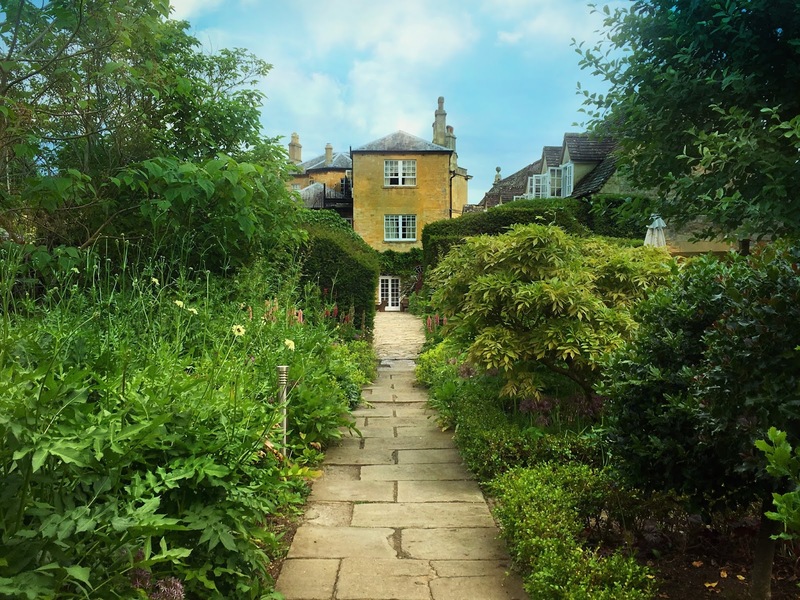 One of her favourite hidden gems is the Cotswolds House Hotel and Spa a quaint, contemporary boutique hotel situated in the stunning English village Chipping Campden. We started off our day with a champagne lunch at one of the hotels restaurants, The Bistro. We both opted for the Chicken Breast dish, which was lovely and a nice size for lunch. 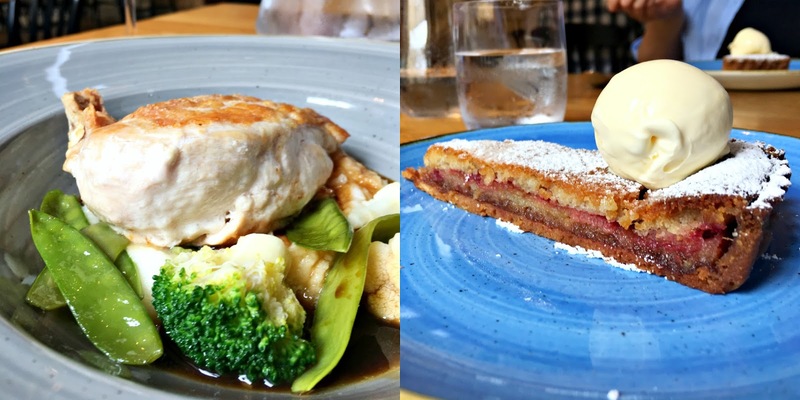 We also had dessert and both had a delicious Frangipane and Rhubarb Tart with Clotted Cream, which was delicious. It was a really nice and relaxed setting and the staff were fantastic. I've never been to Chipping Campden before and with it's rustic charm it made for the perfect day of escapism. Once we were done with our lunch we headed through the secret garden path to the spa, which in itself was a relaxing and wonderful experience. My sister has been to the spa many times before and has always really enjoyed it, so I was excited to try it for myself. 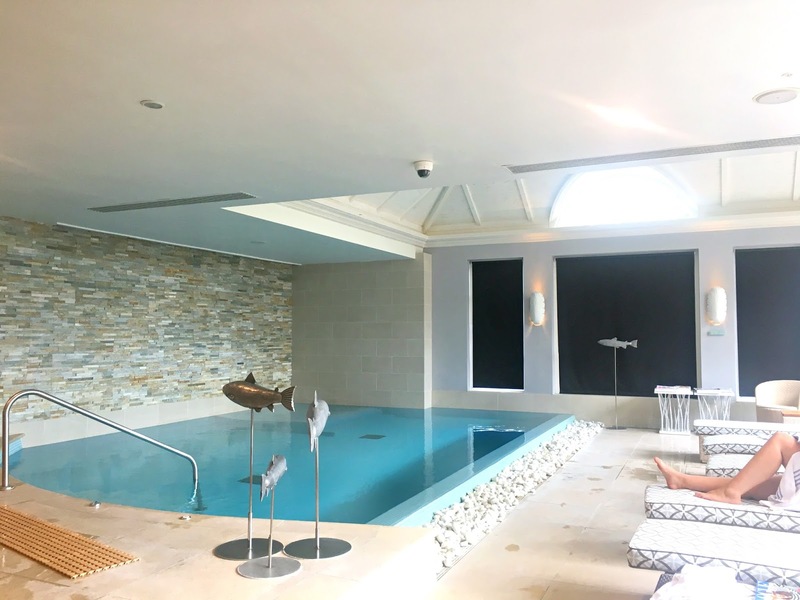 The spa is situated within a stunning coach house styled building and right from the moment we stepped through the front door I could feel a sense of calm that was assured by the lovely staff who were there to greet us with a warm smile. We headed into the relaxation area to fill out our consultation forms, once done we were greeted by our therapists and taken to our individual treatment rooms. My therapist Hayley was extremely warm and welcoming, as well as being very professional. Once we had had an initial chat about my needs, I was left to undress and prepare for my full body massage. I've had a lot of lovely massages, but this is the best full body that I've ever had. It was honestly fantastic and the attention to detail was the best I have ever experienced. I could feel the stress and tension evaporating from my body as my therapist used her techniques to really target my troublesome areas. Once my massage was done (I never wanted it to end) I went back to the relaxation area where I met my sister after her treatment. We were treated to a delicious little pot of sorbet and a glass of Prosecco, which was a lovely way to finish off both of our treatments. We then made our way to the facilities to enjoy the rest of our day. The hydro pool was fantastic and I spent a lot of time relaxing in the pool and taking in the lovely surroundings. Overall, Cotswold House Hotel and Spa was just what I needed! It's not a huge spa, but I really liked the fact it was more quaint and personal, as it allowed me to truly relax. It's true, the best things come in small packages! Once again a huge thanks to the fantastic team at Cotswold House Hotel and Spa for making both of our days truly relaxing and memorable. I would highly recommend visiting!